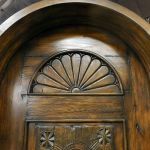 Made with antique carved panels and reclaimed Douglas fir, this gorgeous arched front entry also features a unique peep door. 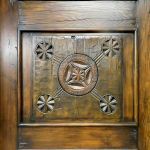 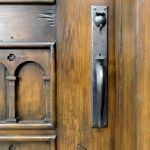 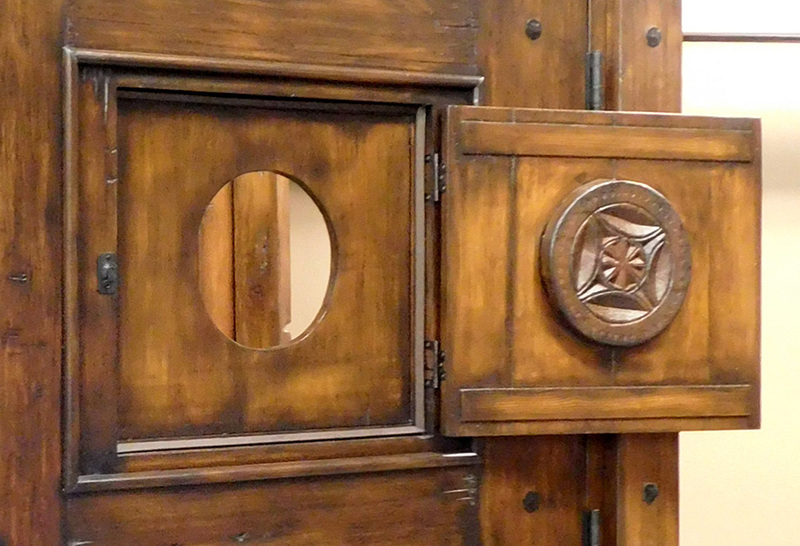 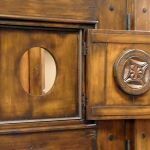 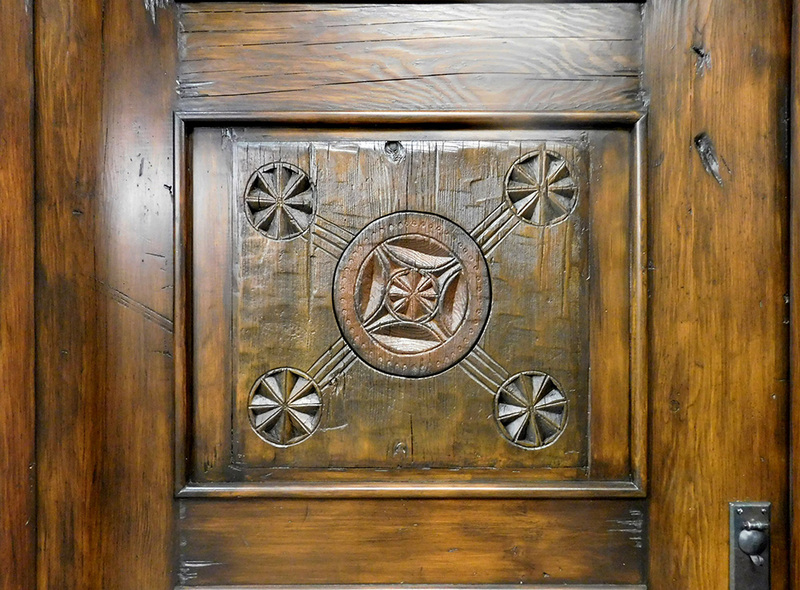 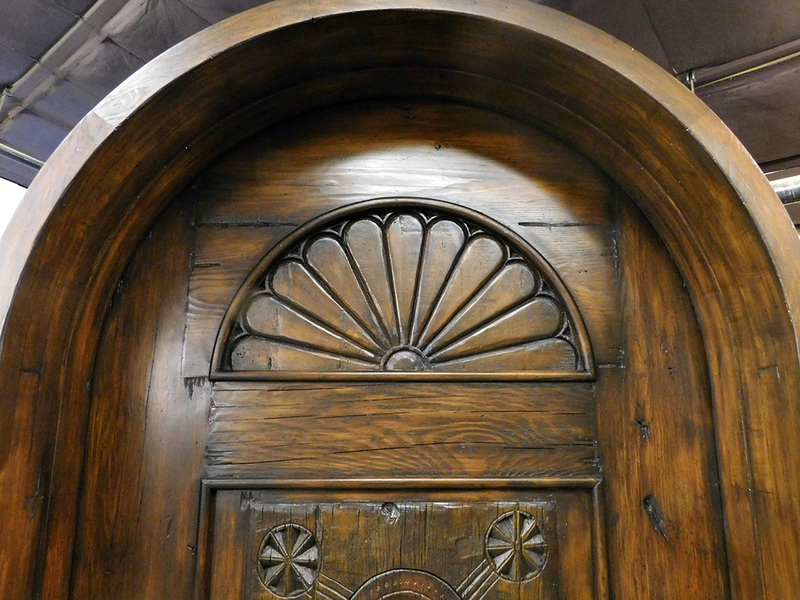 While the peep door panel is rectangular, the antique carved round disk fits to close the round peep window. 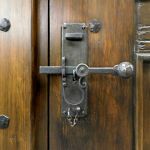 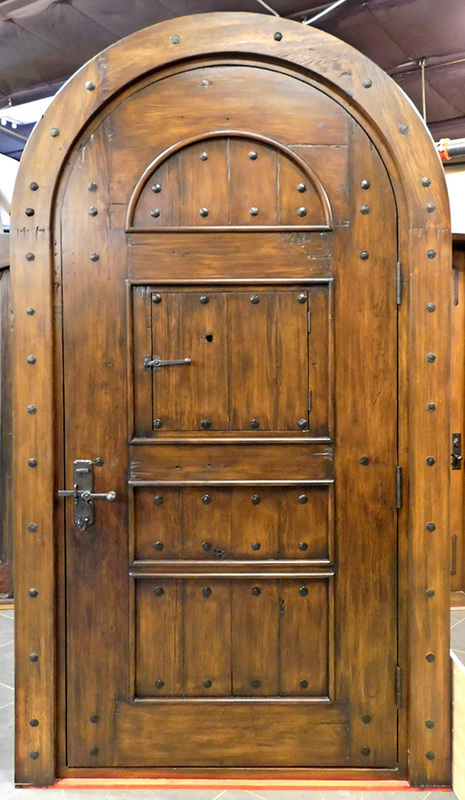 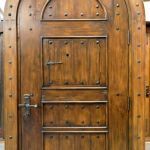 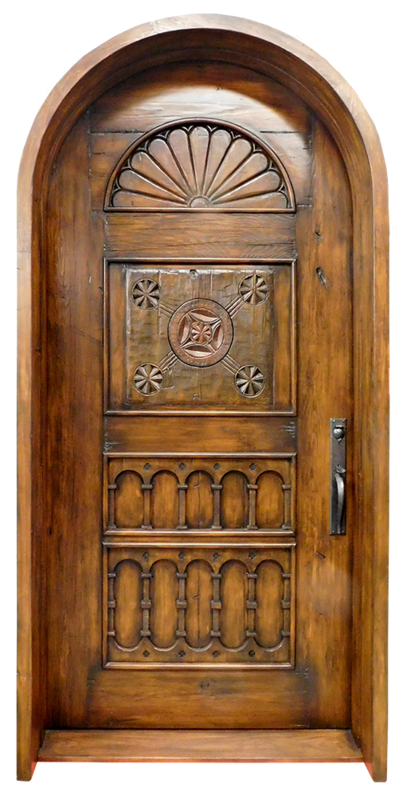 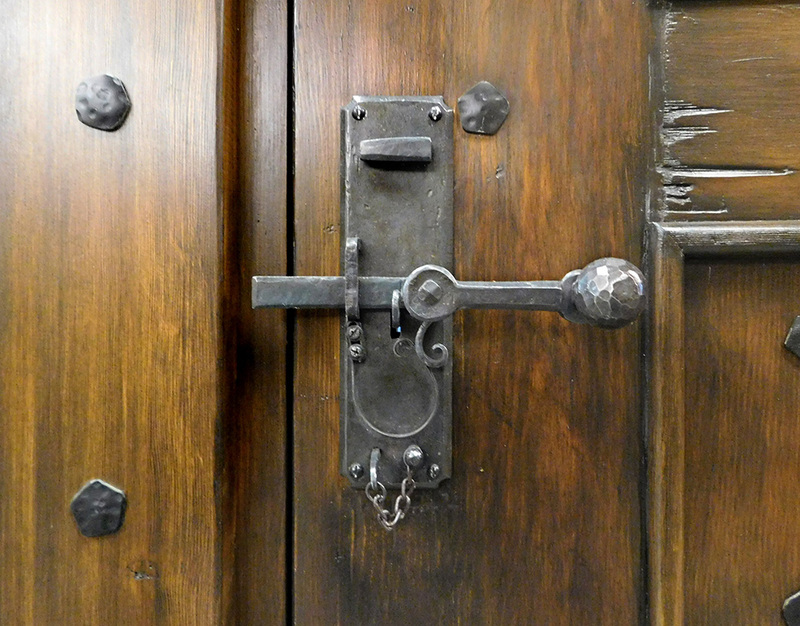 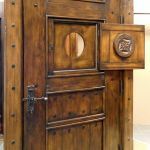 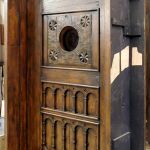 The door is set into a deep jamb, and the back has a surround that is accented in the same iron clavos as the back of the door. 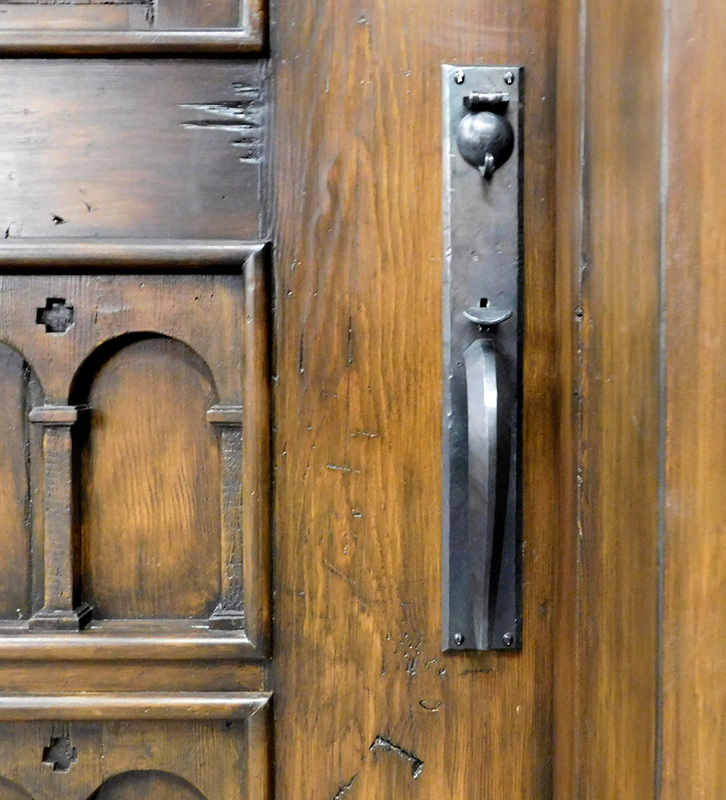 In the detail photos you can see the parts painted black that will be fitted into the wall.